“A Little Bathroom Reading” is the title that I gave to the first article that I wrote for the Badger Herald at Wisconsin. The article discussed bathroom graffiti on campus, but nonetheless, in the spirit of the title, this page will be dedicated to my personal reviews of books I have read, without regard to where I read them. Why I Read This: Because a buddy was going to New Ulm, MN for Oktoberfest, and I ended up learning, in the rabbit hole of the internet, that New Ulm has a statue of Arminius, a/k/a Hermann the German. Basics: Arminius was a German raised in Rome, trained as a Roman soldier, just before the time of Christ when Rome had conquered Gaul and was looking east of the Rhine, toward present day Germany. Arminius managed to unite a number of Germanic tribes, tricked fellow Roman legionnaires into marching into a trap, and lead the destruction of 20,000 Roman troops through a planned guerilla attack. 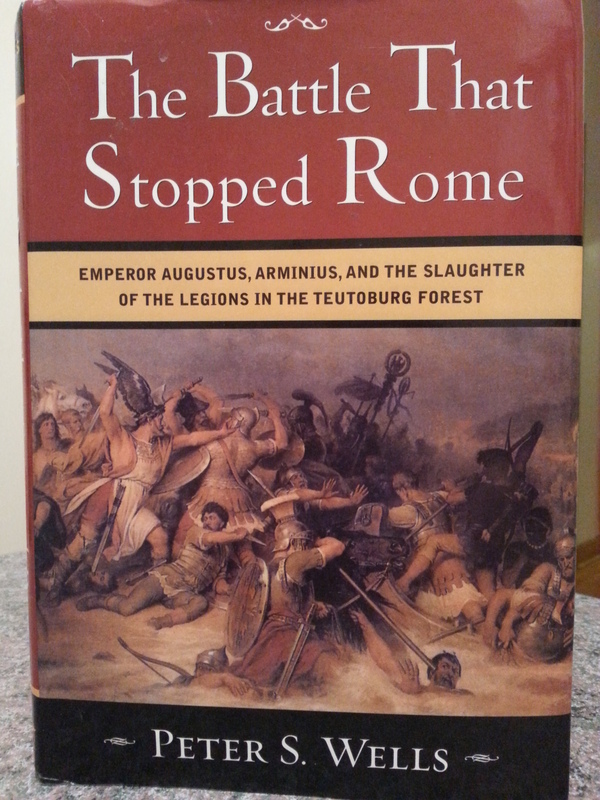 Critique: Wells covers the background of the battle and it characters, details the archeological research of the battleground, and explains longterm effects of the battle leading to no further eastward expansion of Rome, ending in the Rhine as a cultural border in language, food, drink, and custom. He takes liberties in describing the battle down to the weaponry, numbers, and carnage, based upon his personal knowledge and the dig, but Wells is honest and repetitive in explaining that his recreation is based upon some guesswork applied to a non-contemporaneous history and the limited artifacts present today. Bookshelf or Coaster: Put this one on your bookshelf. The story alone, without the author’s personal input, makes the book a riveting sell. Combine with that clear chronological prose and a wider view of the longterm effects of the battle that does not get longwinded and this book is a perfect read for a trip. It also explains why Germans make mostly beer and frogs make mostly wine. Why I Read This: Because my local used bookstore has a very limited business book section. The book also lured me because the author writes substantially about his time in Chicago, where I am currently spending my days. Basics: Richard Sandor chronicles his life, from his youth in New York to his time on a tenure track at Berkeley in economics to the private sector working in exchanges and developing financial products. Sandor then leads into his time with the Chicago Board of Trade, covering his transition from academia to the private sector in which he was prominent in the development of the interest rate futures market. 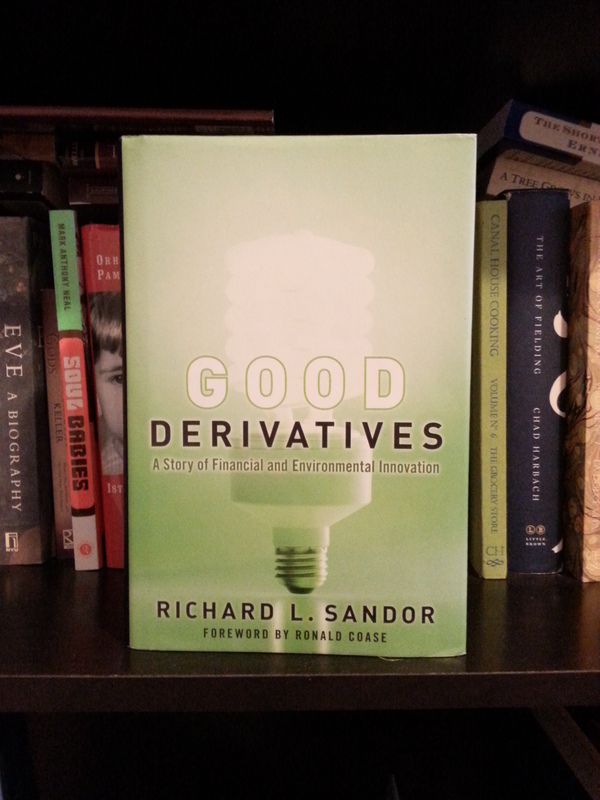 The second half of the book mostly addresses Sandor’s foray into working to create an exchange based market for cap and trade, helping the environment in the most cost efficient method. Critique: Sandor writes the first half of the book for any person with a desire to learn, explaining both how exchanges develop and basics about economics. The latter half, though, assumes the reader has a more advanced knowledge of economics, leading to a more dense prose. Bookshelf or Coaster: Add it to the bookshelf. The initial explanations are far too valuable to toss this one when it gets more complex. In addition, Sandor ends, writing in no later than 2012, that there will be more, smaller exchanges for intangibles in the near future; a U.S. bitcoin exchange opened last month. The author is sharp – soak that in.